Here some of the state’s most noted and qualified policy experts answer two vital questions: New Mexico 2050—What can we be? What will we be? 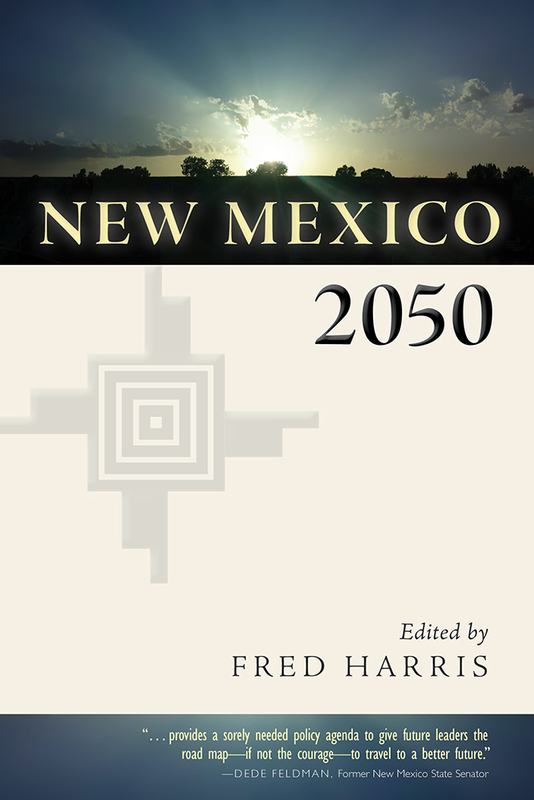 They have produced in this volume, edited by former US Senator Fred Harris, a dynamic blueprint for New Mexico’s future—a manual for leaders and public officials, a text for students, a sourcebook for teachers and researchers, and a guide for citizens who want the Land of Enchantment to also become the Land of Opportunity for all. Contributors include economists Lee Reynis and Jim Peach, education policy expert Veronica García, health and health care specialist Nandini Pillai Kuehn, political scientists Gabriel Sánchez and Shannon Sánchez-Youngman, Native American scholar Veronica Tiller, icon of New Mexico cultural affairs and the arts V. B. Price, authorities on water and the environment Laura Paskus and Adrian Oglesby, planning specialist Aaron Sussman, and inaugural Albuquerque poet laureate Hakim Bellamy. Digital versions of individual chapters allow interested readers to explore the key issues impacting the state of New Mexico. Former US Senator Fred Harris is a professor emeritus of political science at the University of New Mexico, where he directs the UNM Fred Harris Congressional Internship Program. He has produced nineteen nonfiction books on public policy, politics, and government, including the coedited Locked in the Poorhouse: Cities, Race, and Poverty in the United States.